Relationship jealousy is a major reason people seek marriage counseling. relationship counseling, are commonly plagued by jealous behaviors. Often one of the parties believes the other is having or has had an affair. Sometimes it’s this discovery of the affair the brings the couple in to see the marriage counselor. Other times the truth of the affair comes out as the couple explores their jealous feelings. The most destructive type of jealousy is the pathological, delusional variety of jealous, in which one partner is constantly checking because they believe their partners are cheating despite a total lack of evidence. If you do not manage this extreme variety of jealousy, it can escalate to violence, police involvement, restraining orders and can bring an end to the relationship. Before coming to counseling, many couples have tried coping with jealous feelings by using unhelpful coping strategies. Jealous couples may deny they have a problem. Stonewalling and refusing to talk, will make jealousy worse. A common way jealous people avoid looking at their part in the problem is to refuse to talk about it. Refusing to discuss problems is very destructive of close relationships. Seek revenge on your partner or rival doesn’t help jealous feelings. An unduly jealous partner may drop in on their partner at work, destroy things and try to prevent the object of their jealousy from being able to see or to talk to the person they perceive as their rival. I’ve witnessed jealous people, both men and women, show up at a class and threaten or attack the person they believe to be flirting with their partner. If jealousy is a problem in your relationship, seek help. Don’t wait to deal with jealousy in your relationship until it escalates into violence, legal involvement or destroys your relationship. When couples come to counseling and jealousy is an issue there are several things the counselor will look at. Is the jealousy problem a couple’s issue, the result of poor communication or disagreements about appropriate behavior? When a couple first gets together a shy or insecure person may be very attractive to an outgoing, friendly, person. After a while, what they like the attention, they become jealous when their partner acts in precisely the same that originally attracted them. One other thing the counselor needs to rule out, sometimes the feeling of jealousy is well founded. Your partner’s behavior may be a genuine threat to the relationship. Sometimes the causes of the jealousy are your partner’s inappropriate close relationship with another person. Jealousy may be well found if your partner is having an affair. Here are some of the techniques counselor might use to help couples deal openly and honestly with the issue of jealousy. Talk openly and honestly about your feelings of jealousy. Requesting reassurance from your partner may reduce jealousy. It can be helpful to the jealous person to hear from their partner that their relationship is intact. Hearing that your partner values the relationship and is willing to do things to make you feel less threatened and more secure can help reduce feelings of jealousy. You may need to reevaluate your relationship. When a partner can’t reassure you or is unwilling to stop seeing the person that is causing your jealousy, one or both people may need to reevaluate this relationship. If your partner insists they will continue to see someone else, there may be good reasons for your jealousy. Sometimes the feeling of jealousy is trying to tell that there is a real threat to your relationship. Reduce jealousy by questioning your assumptions. Many feelings we call “negative feelings,” are based in reality. These feelings tell us that something bad is or has happened. Other times, however, those negative feelings you are experiencing are the result of a lot of “unhelpful thoughts” you are having. Rather than assume that your partner’s jealousy means your relationship is threatened; re-examine those beliefs. Be very careful about jumping to conclusions. People with a bias towards jealousy, anger, anxiety, and depression, are likely to perceive everything is being much more significant and much more negative than it is. If jealousy is troubling your relationships, consider working with a professional to see if you have reason to be jealous or you are making faulty assumptions. Jealousy results in many referrals for counseling. Jealousy, like it’s relatives anger and loneliness are not specific mental health diagnoses. We often think of these as feelings, but all three also include thoughts and behaviors in addition to the feelings. Sometimes jealousy is the reason people come to see a counselor, other times the stated problem is something else such as “poor communication.” Under that other issue, the counselor is likely to find unaddressed jealousy. Jealousy, like anger, may also be a symptom of an underlying serious mental illness. Here are some of the diagnoses, and relationship issues that may be causing jealousy. Substance Use Disorders cause jealousy. Using and abusing drugs or alcohol alters people’s feelings and thoughts. Under the influence, people are disinhibited and more likely to act on their feelings of jealousy. The drinking and drug use lifestyle also puts people at risk. When under the influence and disinhibited, people are more likely to act on their sexual, cheating, desires. Having substances in the bloodstream affects memory and cognition resulting in people believing things that never happened. The substance using lifestyle also results in trauma or having to do things to get your drugs that you would not do clean and sober. Psychosis and Delusions Disorders increase jealous thoughts and behaviors. People hear and see things that are not there are at risk to misinterpret those hallucinations. The one specific mental illness which includes jealousy as a specific symptom is Delusional Disorder, jealous type. People who have schizophrenia, schizoaffective disorder, some people with bipolar disorder, and severe major depressive disorder with psychotic symptoms all may experience delusions. Delusional beliefs that others are treating them badly or that their partner is cheating on them can be common with severe mental illnesses. Jealousy is common in Neurocognitive Disorders. People with neurocognitive disorders such as Alzheimer’s, Parkinson’s or other forms of dementia are likely to feel their relationships are threatened and begin to believe that their partner may be cheating on. These kinds of solutions are especially hard on caregivers who may be with the demented person almost every hour of every day but still are faced with jealous accusations of infidelity. Reactive Jealousy is the result of real events. Reactive Jealousy is probably the easiest variety to understand. If your partner has had an affair or several affairs, it is understandable that you might become jealous. Couples often disagree on what behaviors constitute cheating. Men are more likely to become jealous if they believe their partner has been physically intimate with another man. Women are more likely to become jealous if their partner develops a close emotional connection with another person. The risks of an affair affect the two genders differently. Men have historically been concerned that they might have to support the offspring fathered by another man. Women are more likely to fear that if their man becomes involved with another woman, he will spend money, economic resources, on that other woman thereby depriving her and her children of needed support. Pathological Jealousy is the most dangerous. Pathological Jealousy is believed to arise when one partner believes they are less desirable than their mate. If a man believes that his female partner has lots of men interested in her while he thinks if he loses her he will have difficulty finding another mate, he is likely to become jealous and try to control her access to other men. Pathological Jealousy is the type most likely to result in violent, controlling behavior. People who are pathologically jealousy may become stalkers or engage in violent attacks on their partner or perceived rivals. Is jealousy a good thing or bad thing? Jealousy is a complicated subject. When the word jealousy is used, most people think immediately about their romantic partner relationship. It appears that certain expressions of jealousy can strengthen some relationships while other expressions can destroy your relationships. Clients who come to counseling because of jealousy, usually have been harmed by a jealous partner or they’ve been required to get counseling because their jealousy has led to violent, aggressive actions. Sometimes people go out of their way to make their partner jealous. It is an ego boost to know your partner will become jealous when that cute guy or gal pays you some attention. Other times excessive jealousy can destroy a relationship when it moves from expressions of affection to controlling behaviors or even violence. How your partner handles jealousy is largely about them, not about the facts of the situation. 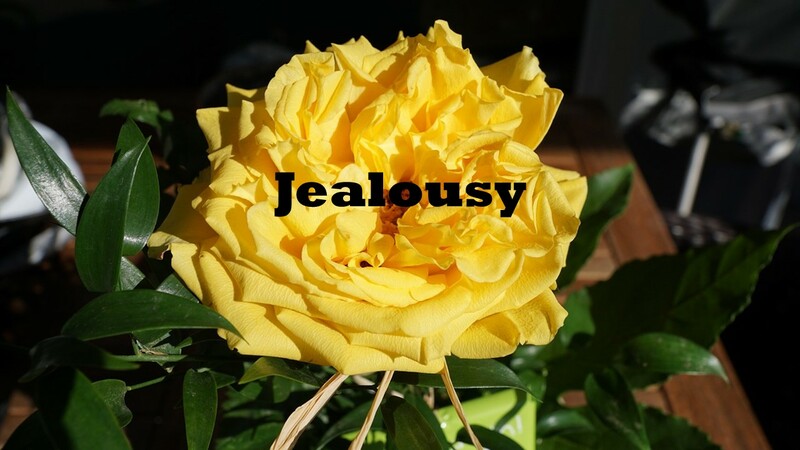 Let’s look at the nature of jealousy, how jealousy operates and how it might have both good and bad expressions. Jealousy is more than a feeling. Researchers find that this thing we call jealousy includes thoughts, emotions, and actions. In its simplest form jealousy thought that you have lost or are at risk to lose something, usually another relationship to a rival. This thought that someone might be taking away your relationship can trigger feelings of fear, grief and loss, or anger. People who experience a threat to their relationship may become anxious, depressed or may be driven to attack the perceived rival. These feelings become the basis for actions. The difference between envy and jealousy. Envy is when one person wants what another person has. If your neighbor has a luxury car, you want one as good or better. If your neighbor has an attractive partner envy would mean you wanted an attractive partner also. Someone who is envious of you wants something as good as or better than what you have. They do not necessarily want to take what is yours. Jealousy involves three or more people. Jealousy stems from threats that some will take away your relationship with another person. There’s a belief that jealousy fills an evolutionary function in humans, probably in other animals also. Expression of jealousy, the behaviors, function to prevent mate poaching. Jealousy, that possibility of losing a relationship, affects males and females differently. “Unconsciously we all have a standard by which we measure other men, and if we examine closely we find that this standard is a very simple one, and is this: we admire them, we envy them, for great qualities we ourselves lack.